Strong contributions from all divisions and geographies helped LVMH deliver first quarter revenue of EUR12.5bn. That represents underlying growth of 11% on Q1 last year, comfortably ahead of prior expectations. The shares rose 3.1% on the news. LVMH, or Louis Vuitton Moët Hennessy, is a sprawling conglomerate, with products ranging from wines and spirits to watches and jewellery. The unifying factor is a focus on the very wealthiest customers. The group's success is thanks in large part to Bernard Arnault, who became chief executive and chairman in 1989. Home grown success stories, and a sprinkling of acquisitions have turned LVMH into the world's largest luxury goods group. Luxury is already a multi-billion dollar industry, and is expected to grow by around 4.3% a year to 2025. Customers are usually hugely wealthy, and prepared to pay handsomely for the latest must have, keeping LVMH's margins over 20%. Cash generation is strong as a result - which in turn helps support the dividend. LVMH has grown or held the payout for over 20 years and we're hopeful this good track record can continue, although there are no guarantees. The prospective yield is 2%. Given LVMH's French roots you might think its products are more St Tropez than Shanghai, but Asia is the group's most important geography. Not only is it the biggest, it's the fastest growing, thanks to rapid wealth creation in countries like China. Ongoing trade wars and a possible crackdown on the shady world of the daigou means that all-important Asian market has a few question marks over it. Daigous fit somewhere between a personal shopper and luxury trader. They buy products in the west, taking advantage of lower costs or favourable exchange rates, before transporting them back to their own customers in China. LVMH doesn't say how much business goes through this channel, but a tougher stance from the authorities would be enough to impact sales. As things stand, the market is holding up well, helping the Fashion & Leather goods division continue to grow at an impressive rate. That helps explain why the shares trade at a premium rating of 22.8 times expected earnings. Just like the products themselves, quality comes at a price. While valuation is fuller than it has been in the past, we think the group is well placed for the long-term. It's well-established in its core geographies, and is taking its established and aspirational brands into exciting growth markets. Add oodles of pricing power, and we think LVMH is an attractive proposition, though as ever, there are no guarantees. Growth was driven by the group's largest division, Fashion & Leather Goods. 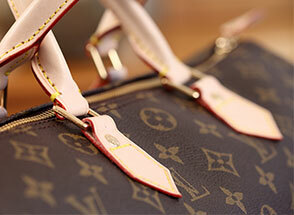 Sales rose 15% to EUR5.1bn, helped by an 'exceptional' performances from Louis Vuitton and Christian Dior. Stores were refurbished and reopened in Florence, London, Monaco and Shanghai, with a new leather workshop in France. Selective Retailing, which includes beauty business Sephora and luxury travel retailer DFS, saw sales rise 8% to EUR3.5bn, with online sales particularly strong. DFS' expansion will continue in 2020 with a new opening in Paris. Perfumes & Cosmetics delivered growth of 9%, reaching EUR1.7bn, with Dior again a strong performer. Other highlights included the Fenty Beauty range by Rihanna and Givenchy's Le Rouge and Prisme Libre makeup ranges. Good growth in the US and China helped Wines & Spirits sales grow 9% to EUR1.3bn. Hennessy cognac volumes rose 11%. Momentum in Watches & Jewellery wasn't as strong, with sales rising just 4% to EUR1bn. However, the group said recent launches towards the end of the quarter had been well received.